This Minions Movie Bookmark just proves that my household was not immune from the Minion Movie craze. It crept in-loudly, obnoxiously, and adorably. I can’t help but admit I too think they are cute! They have loaned themselves well to several fun crafts and activities that are keeping the kids busy. One thing I insist on everyday in our homeschooling adventure is 15 minutes minimum of independent reading time each day. My little guy has soared in reading this past year but has still not quite caught the reading bug like I would like. To keep him more focused and interested we make bookmarks from craft sticks. These also serve to be excellent pointers during lessons for math -counting on 1o0’s chart, pointing out parts of speech during grammar lessons, and so on. 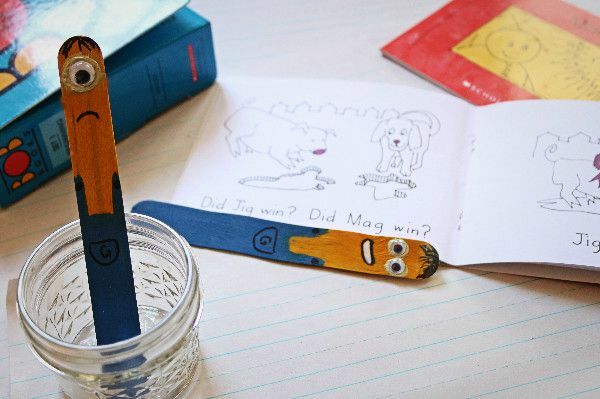 These Minions movie bookmarks or pointers were our favorites so far this year so I had to share them with you! 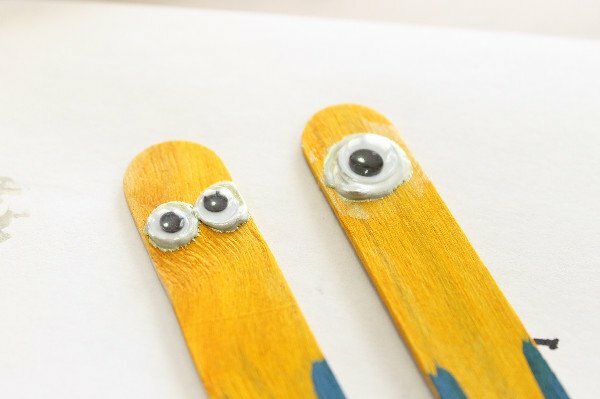 They would also be fun to hand out to your child’s class or as a Minion themed birthday party craft. 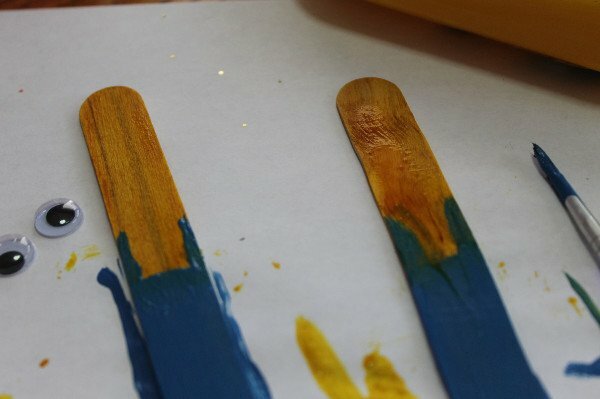 Paint the entire craft stick yellow, paint both sides for a cleaner look. Dry paint completely before moving to next step. Paint the simple blue overalls on your Minions, simply paint about 2/3 blue and add little straps. While overalls are drying you can carefully paint on the silver goggles for your Minions. Add a generous dollop of glue and place your google eyes. Once the blue paint has dried completely add details with black sharpie like a pocket, hair, and buttons. Get creative, Minions have tons of personalities so create your favorite! Will it be Dave? Stuart? 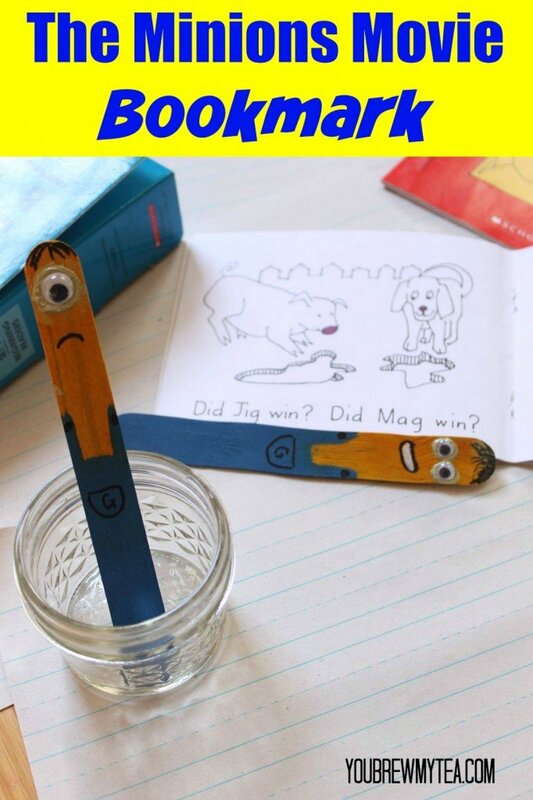 This Minions movie bookmark is a super fun activity to make with your kids. It can be used in your homeschool classroom, to give to friends as a party favor at an upcoming birthday party, or just because! 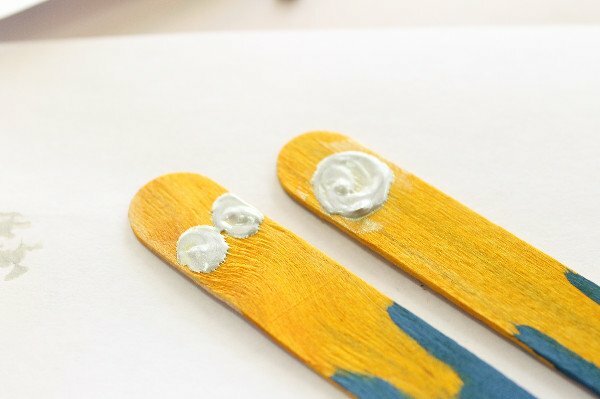 Crafts like this are fun for kids that like to paint, but also not too messy for moms who don’t want to clean up a ton of paint from the floor. Use this is a great craft to incorporate reading into your daily routine whether you are a homeschooling parent or not. There are even a whole series of both picture books and Minions chapter books you can buy and encourage your kids to read! 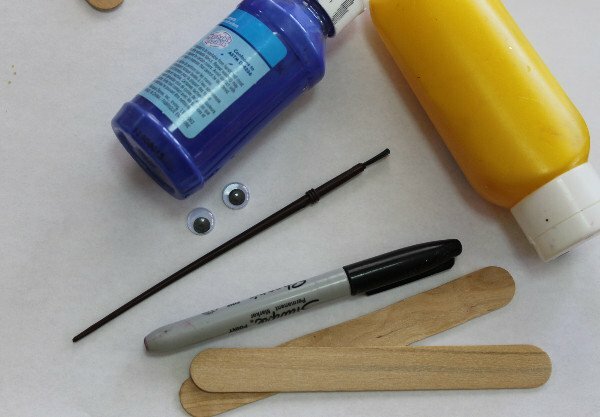 Here are some other fun Minions themed crafts and ideas for upcoming birthday parties!